"If you haven't got the bond and the trust, you haven't got anything." This one is for all the dog lovers out there! I discovered this little documentary from New Zealand because they started following me on Twitter, and the profile's description states: "A documentary film for those who prefer dogs to people." Yep, that's me! Old Dog is a feature documentary about a shepherd and sheep farmer in New Zealand who really loves dogs. He spends more time raising and taking care of his dogs than anything else, and has won awards for sheep herding because he trains his dogs with love and sensitivity, not anger and violence. This looks like a heartwarming, moving look at the bond between man and dog, as well as how dogs are really the best. And I love how much he emphasizes treating all dogs with respect and compassion, that's how it should always be. New Zealand farmer Paul Sorenson has a unique connection with his colleagues — a team of sheep dogs. For 40 years, he's worked to develop smarter and more intuitive training methods for fellow farmers, while grappling with memories of a difficult childhood. Reaching retirement, the veteran dog whisperer passes his knowledge to the next generation of shepherds, and reflects on the sacrifices he's made to pursue his intense passion for dogs. 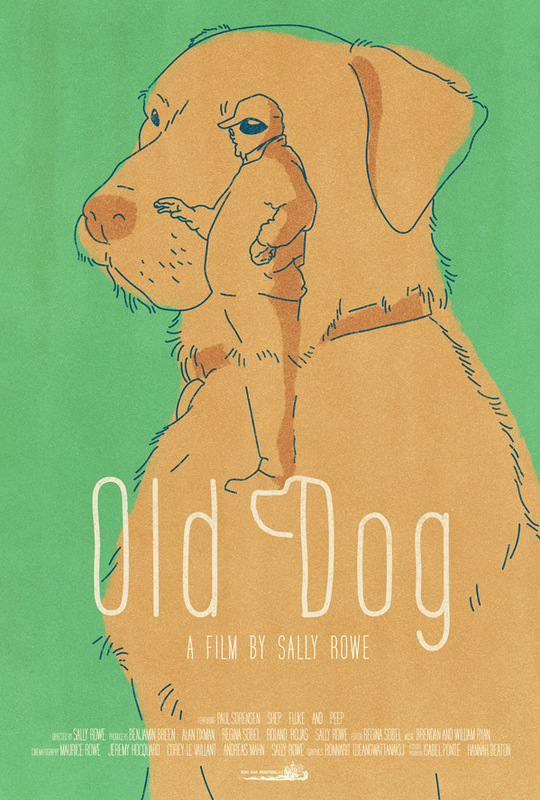 Old Dog is directed by New Zealand-born independent filmmaker Sally Rowe, director of the doc A Matter of Taste: Serving Up Paul Liebrandt previously, as well as script supervisor for TV. This premiered at the Sarasota Film Festival earlier this year. The film will be available on iTunes starting in September. For more info, visit the official website. Who else wants to watch this?